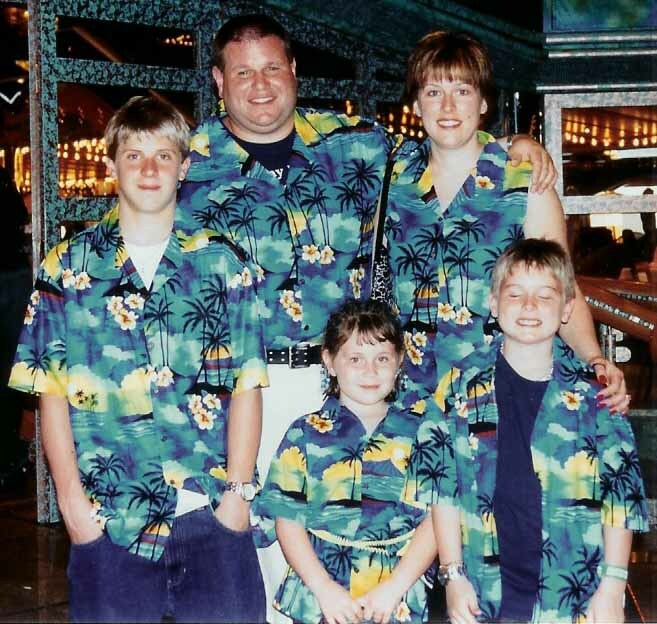 Everyone on the ship, loved our hawaiian shirts and how everyone had the same pattern, from the 3xl- right down to the bungee dress on the 2 yr old. The night we got together and wore them we were the talk of the Carnival Victory 2/2004, Western Carribean. Thank You!